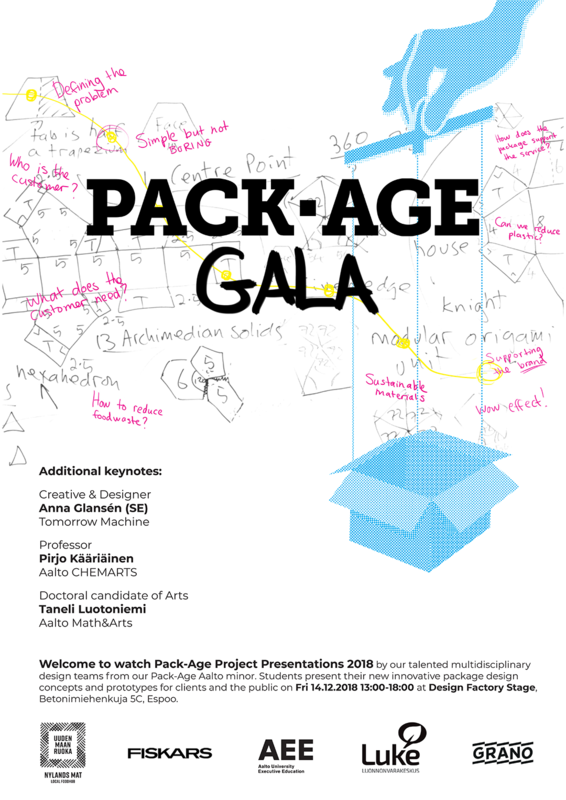 Pack-Age Gala @ Aalto Design Factory on Friday 14.12. | Urban Mill – Building IntenCity! This entry was posted in Aalto University, Design Factory, From Espoo Innovation Garden, Kurssit, Opiskelijat, Otaniemi, Seminaarit, Tapahtumat and tagged Aalto CHEMARTS, Aalto Math&Arts, innovative use of materials, Pack-Age, Package concepts, Prototypes by larsmi. Bookmark the permalink.